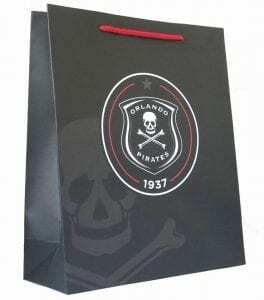 Established in 1937, Orlando Pirates is one of South Africa’s premier football clubs. The ‘buccaneers’, as they are affectionately known, chose the skull and crossbones as an insignia – an image that has become synonymous with South African football. For their corporate event, a matt black paper bag was used, with bright red braided cord handles. The design is simple, with the club’s logo centred on the front and rear panels, and the skull and bones emblem transparently printed bottom left. The red handles accentuate the two red lines in the club’s logo – making this paper bag a well-designed event bag that attendees probably still use today. Falling under the Tsogo Sun family of holiday destinations, the Beverly Hills Hotel in Umhlanga, KwaZulu-Natal, is the epitome of seaside holiday bliss! Kiki Bag worked hand in hand with the hotel to develop a paper event bag that was worthy of royalty. This branded paper bag features deep golden front and rear panels, with white side panels. The gift bag features a clever tag line, ‘a little delight’, at the foot of the front and back panels, and the white braided cord handles finish the design off in royal style. 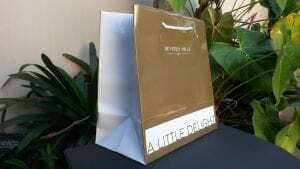 With a gloss finish, this paper event bag is sure to make its way home with visitors of the Beverly Hills Hotel! Work-Integrated Learning (WIL) Africa is an annual event that promotes employment partnerships between African industry and educational institutions. The event is attended by hundreds of individuals, so the paper event bags really need to be impressive! 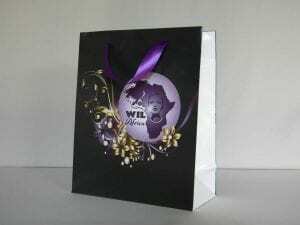 For the 2013 instalment of the WIL Africa conference, Kiki Bag developed a branded paper bag that certainly made a statement. A beautiful feature graphic was used, incorporating the African continent and flowing floral pattern in gold and purple against a slightly glossed black backdrop. What really made this branded conference bag pop were the deep purple Petersham ribbon handles. 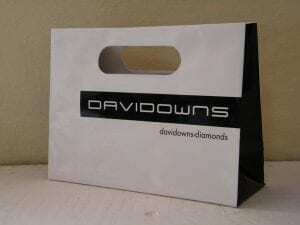 Davidowns Diamonds entered the South African market with one goal in mind – to provide all South Africans with cheaper jewellery, without compromising on quality. Kiki Bag was able to develop simple yet stylish paper event bags for Davidowns, using a colour pallet of only black and white. The front and back panels are white, with a strip of black extending from the right-hand side. This black strip blends into the all-black side panels, and the brand name is featured in white against the black strip. With cut-out handles, and a gloss finish, this branded event bag was a favourite among event attendees. Simply leave your paper event bag idea and budget with us, and we’ll provide you with a branded paper bag your event attendees will be talking about for months to come! 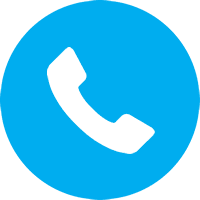 Get in touch with Kiki Bag here, or request a quotation from our Kiki Bag website.